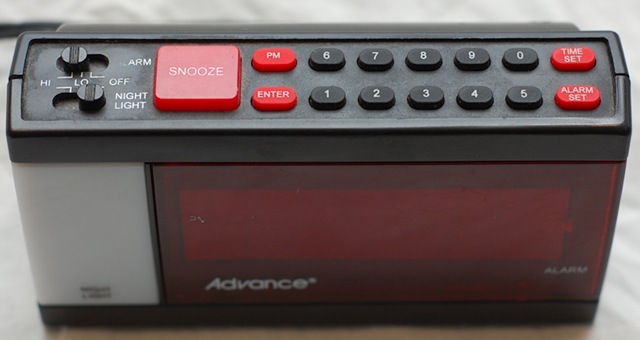 My beloved Advance clock died about two months ago. It did not surprise me to learn that there is no equivalent marketed anywhere at any price. 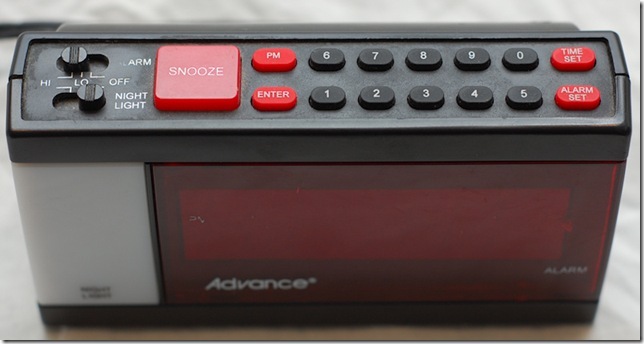 I post this picture in honor of this acme of alarm clocks. Posted on September 7, 2009 Categories UncategorizedTags Technology1 Comment on Behold! A Number Pad.